Here is the recipe it’s about 3 servings. I was blown away the first time I made this, there is so much flavour in this dish, you can not believe it, you can taste the mushrooms, but still you can taste the onion and the veggie broth. 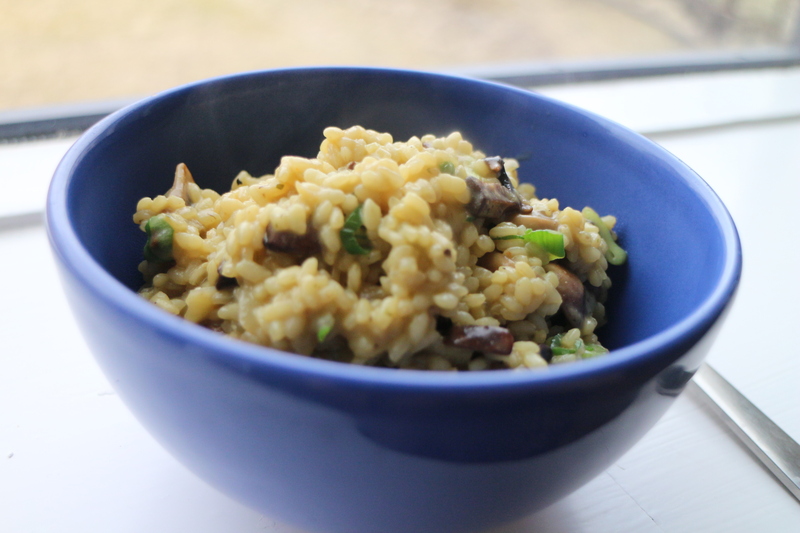 The nutritional yeast gives this dish the cheesy flavour you taste in risotto. So good ! I really hope you try this recipe. If you like mushrooms you will love it.